To place an order, please log in. Are you sure you wish to delete the selected address? Give your job a name! We’ll note this name on all of the order documents and on your bill. This simplifies tracing your order in our production. Is there something you’d like us to know? Type in any comments you would like to be passed on to our production team. Please indicate the winding direction needed for your labels for their application. Choose between internal or external wound rolls and the labels’ orientation on the roll. See the images below for guidance. For more information, see our payment method FAQs. *Maximum bill amount to be purchased is £10,000 net. In individual cases, we reserve the right to require a deposit. You will receive all deliveries through our logistics partner UPS. For express shipments with UPS, the surcharge will depend on the weight of the package. In our FAQs we have broken down the shipping costs, including export shipments, precisely. We can provide a digital press proof of your labels in a PDF file, where we simulate the paper and colours of the label(s) to be printed. In production, we adhere to strict standards to match the colour values of your proofs​​. 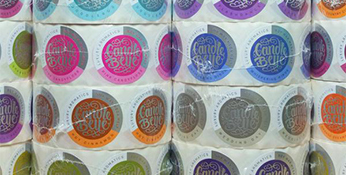 If you would like to see the print work your labels before finalising them, you can ask about our Colour Press Proof service. Regardless of the final shipping address for your labels, if you wish to receive your label proofs at a different address, you can enter this here. If this option is selected, ten copies of the print job will be sent to the selected address in a reusable UPS Express Envelope. Do you have a voucher code? Enter it here and take advantage of your discount! If your labels are to be applied mechanically, the roll core diameter is important – your roll needs to fit onto your machine! You can select a diameter of 76 mm, 40 mm or 25 mm. If your labels are going to be hand applied, the core diameter is not important. 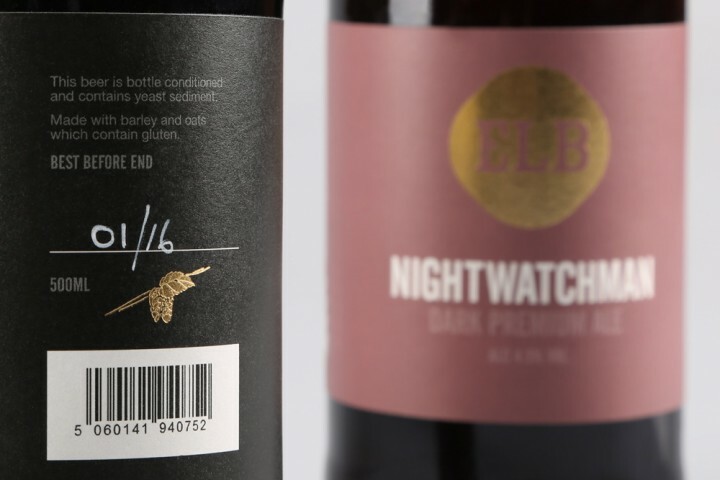 We’ll help you ensure your label artwork is print-ready! Depending on your choice of material and label finishing, you are able to choose from two service options; Smart (from £30+VAT) or Pro (from £65+VAT). We’ll put your artwork files through a rigorous, technical data check and make necessary, technical alterations. The respective services ensure that appropriate print layers, colours, print tools and HPI White elements are correctly applied. Please note: Our artwork services are not a label design and branding services; they are technical check and correction services. More information can be found here.